If you played the Dark Carnival campaign in Left 4 Dead 2, you know it ends with a rocking good time featuring the music of a certain band called the Midnight Riders. While the Riders never appear in the game, they do have their own website, which perhaps alludes to an upcoming expansion featuring the cast of four characters. 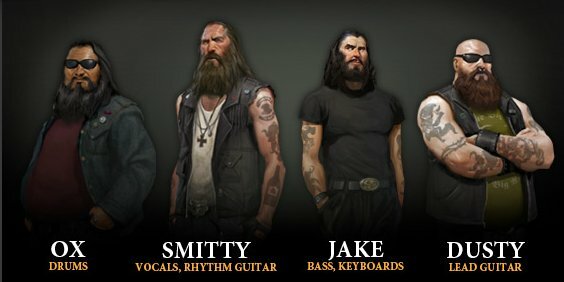 If there isn't an official add-on coming starring these fine gentlemen, perhaps someone can make it. How? The details of the Left 4 Dead 2 mod tools have been unveiled and there's good news for folks who want to get their hands dirty with custom zombie blood. Not only will modders be able to create custom maps for Left 4 Dead 2; but custom survivors, weapons, special infected, common infected, and more. It's a full suite of tools that support custom models, textures and sounds. Of course...the tools are nowhere to be seen as of now. Like the tools for Left 4 Dead 1, they've been MIA since the game launched. We have good faith that Valve has learned its lesson from the first game, and the tools will arrive shortly. Surely it won't take six months to get these out the door as well. 2 Soon 4 Left 4 Dead 2? Page created in 0.3076 seconds.